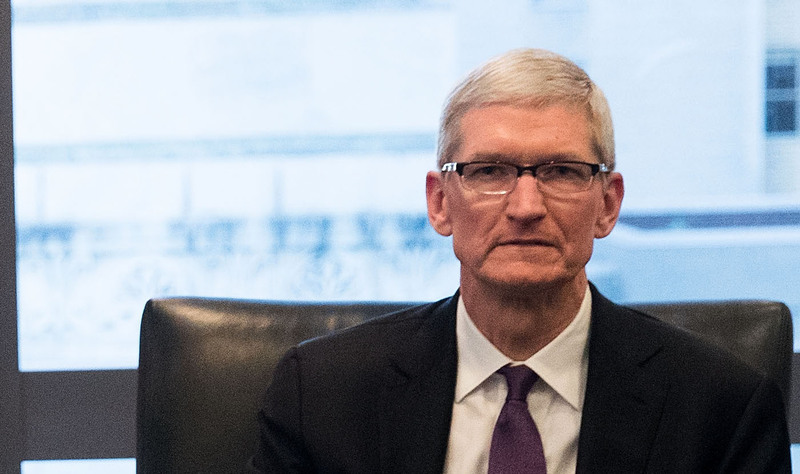 Apple isn't relenting in its attacks on last week's Bloomberg story claiming that tiny Chinese chips had compromised the security of Apple and Amazon data centers. In a Monday letter to Congress, Apple wrote that the claims in the Bloomberg story were "simply wrong." Bloomberg's story, published last Thursday, claimed that the Chinese government had secretly added spy chips to the motherboards of servers sold by Supermicro. According to Bloomberg, these servers wound up in the data centers of almost 30 companies, including Apple and Amazon. But the three companies featured in the story—Apple, Amazon, and Supermicro—have all issued broad and strongly worded denials. The stakes here are high for Apple. Millions of Americans rely on the company to protect the privacy of their data on iCloud and other online services. If there were really Chinese chips infiltrating Apple data centers, it could call into question the security of those services. But Apple insists that the story was simply bogus. BUCHAREST, Romania—At the edge of Europe, Romania’s University Politehnica of Bucharest has long been the most prestigious engineering school in the region. Here, a terracotta-tiled building looms large over the campus, hosting the faculty of the Automatic Control and Computer Science (ACCS) program. 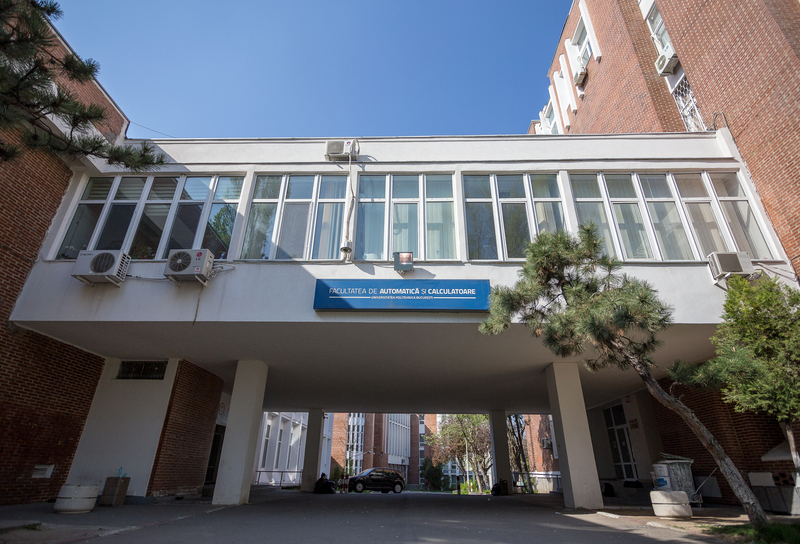 On the ground floor, close to the entrance, is a humble computer lab. The label reads ED011. Back in the early 1990s, after Romania escaped the grip of communism, this room was one of the few places offering an Internet connection free of charge. So every night, when no one was watching, students descended upon the lab to connect to the rest of the world. Eager to learn about life in Western Europe and the US, these students already had the look of their counterparts there—long hair, blue jeans, and Metallica shirts. “Computers gave us the possibility to communicate with people around the world, which was extraordinary,” a former student named Lari tells me today. The ED011 computer lab did more than that, of course. It gave these students total freedom—to not only chat on the early Web but to explore all the odd nooks and crannies of computer science. This research is a joint effort by Jay Rosenberg, senior security researcher at Intezer, and Christiaan Beek, lead scientist and senior principal engineer at McAfee. Intezer has also posted this story. Attacks from the online groups Lazarus, Silent Chollima, Group 123, Hidden Cobra, DarkSeoul, Blockbuster, Operation Troy, and 10 Days of Rain are believed to have come from North Korea. But how can we know with certainty? And what connection does a DDoS and disk-wiping attack from July 4, 2009, have with WannaCry, one of the largest cyberattacks in the history of the cyber sphere? From the Mydoom variant Brambul to the more recent Fallchill, WannaCry, and the targeting of cryptocurrency exchanges, we see a distinct timeline of attacks beginning from the moment North Korea entered the world stage as a significant threat actor. Bad actors have a tendency to unwittingly leave fingerprints on their attacks, allowing researchers to connect the dots between them. North Korean actors have left many of these clues in their wake and throughout the evolution of their malware arsenal. This post reflects months of research; in it we will highlight our code analysis illustrating key similarities between samples attributed to the Democratic People’s Republic of Korea, a shared networking infrastructure, and other revealing data hidden within the binaries. Together these puzzle pieces show the connections between the many attacks attributed to North Korea and categorize different tools used by specific teams of their cyber army. This article is too short to dig deeply into the history, politics, and economic changes of recent years. Nonetheless, we must highlight some events to put past and present cyber events into perspective. Figure 1: SWIFT code in malware. There are many reasons to reuse malware code, which is very common in the world of cybercrime. If we take an average ransomware campaign, for example, once the campaign becomes less successful, actors often change some of basics such as using a different packer to bypass defenses. With targeted campaigns, an adversary must keep its tools undetected for as long as possible. By identifying reused code, we gain valuable insights about the “ancestral relations” to known threat actors or other campaigns. Our research was heavily focused on this type of analysis. In our years of investigating cyber threats, we have seen the DPRK conduct multiple cyber campaigns. In North Korea, hackers’ skills determine which cyber units they work for. We are aware two major focuses of DPRK campaigns: one to raise money, and one to pursue nationalist aims. The first workforce gathers money for the nation, even if that means committing cybercrime to hack into financial institutions, hijack gambling sessions, or sell pirated and cracked software. Unit 180 is responsible for illegally gaining foreign currency using hacking techniques. The second workforce operates larger campaigns motivated by nationalism, gathering intelligence from other nations, and in some cases disrupting rival states and military targets. Most of these actions are executed by Unit 121. We focused in our research on the larger-scale nationalism-motivated campaigns, in which we discovered many overlaps in code reuse. We are highly confident that nation-state–sponsored groups were active in these efforts. We created a timeline of most of the malware samples and noticeable campaigns that we examined. We used primarily open-source blogs and papers to build this timeline and used the malware artifacts as a starting point of our research. Figure 2: Timeline of malware and campaigns. During our research, we found many malware family names that are believed to be associated with North Korea’s cyber operations. To better understand this threat actor and the similarities between the campaigns, we have used Intezer’s code similarity detection engine to plot the links between a vast number of these malware families. The following graph presents a high-level overview of these relations. Each node represents a malware family or a hacking tool (“Brambul,” “Fallchill,” etc.) and each line presents a code similarity between two families. A thicker line correlates to a stronger similarity. In defining similarities, we take into account only unique code connections, and disregard common code or libraries. This definition holds both for this graph and our entire research. Figure 3: Code similarities between North Korean–associated malware families. We can easily see a significant amount of code similarities between almost every one of the attacks associated with North Korea. Our research included thousands of samples, mostly unclassified or uncategorized. This graph was plotted using a data set of only several hundred samples, so there might be more connections than displayed here. During our research, we came across many code similarities between North Korean binaries that had not been seen before. Some of these attacks and malware have not been linked to one another, at least publicly. We will showcase four examples of reused code that has been seen only in malware attributed to North Korea. The first code example appeared in the server message block (SMB) module of WannaCry in 2017, Mydoom in 2009, Joanap, and DeltaAlfa. Further shared code across these families is an AES library from CodeProject. These attacks have been attributed to Lazarus; that means the group has reused code from at least 2009 to 2017. Figure 4: Code overlap of a Mydoom sample. In the next screenshots we highlight the exact code block that reflects the SMB module we found in campaigns other than WannaCry and Mydoom. Figure 5: An SMB module common to several attacks. Figure 6: WannaCry code comparison overview. For our research we compared the three major variants of WannaCry. An early release, called a beta, from February 2017, one from April, and the infamous one that hit the world in May. The second example demonstrates code responsible for mapping a file and using the XOR key 0xDEADBEEF on the first four bytes of the file. This code has appeared in the malware families NavRAT and Gold Dragon, plus a certain DLL from the South Korean gambling hacking campaign. These three RATs are thought to be affiliated with North Korea’s Group 123. NavRAT and the gambling DLL share more code, making them closer variants. Figure 7: Code overlap in a NavRAT sample. The third example, responsible for launching a cmd.exe with a net share, has been seen in 2009’s Brambul, also known as SierraBravo, as well as KorDllBot in 2011. These malware families are also attributed to the Lazarus group. Figure 9: Code overlap of a SierraBravo (Brambul) sample. Figure 10: A code block reused in the malware families Brambul/SierraBravo and KorDllBot. In 2014, Kaspersky reported a more than seven-year campaign against Asian hotels, in which the adversaries used an arsenal of tools to break into the computers of hotel visitors. Zero days and control servers were used, along with the malware family Tapaoux, or DarkHotel, according to the report. While we examined the DPRK samples, we noticed a hit with the Dark Hotel samples in our collections. By going through the code, we noticed several pieces of code overlap and reuse, for example, with samples from Operation Troy. Figure 11: Code overlap in a Dark Hotel sample. By applying what we learned from our comparisons and code-block identifications, we uncovered possible new links between malware families and the groups using them. With the different pieces of malware we have analyzed, we can illustrate the code reuse and sharing between the groups known to be affiliated with North Korea. Figure 12: Groups and families linked by code reuse. The malware attributed to the group Lazarus has code connections that link many of the malware families spotted over the years. Lazarus is a collective name for many DPRK cyber operations, and we clearly see links between malware families used in different campaigns. The malware (NavRAT, gambling, and Gold Dragon) possibly created by Group 123 are connected to each other but are separate from those used by Lazarus. Although these are different units focusing on different areas, there seems to be a parallel structure in which they collaborate during certain campaigns. When we zoom in on the Discovery category in the MITRE model, for example, we notice that the techniques are typical for first-stage dropper malware. The adversary drops these samples on victims’ machines and collects information on where they landed in the victims’ networks and which user/access rights they gained. In 2018, we saw examples of campaigns in which attackers used PowerShell to download and execute these droppers. Once information has been sent to a control server, the adversary determines the next steps, which often include installing a remote access tool to enable lateral movement on the network and pursue the goals of the campaign. Security vendors and researchers often use different names when speaking about the same malware, group, or attack. This habit makes it challenging to group all the malware and campaigns. By taking a scientific approach, such as looking for code reuse, we can categorize our findings. We believe our research will help the security community organize the current “mess” we face in relation to North Korean malware and campaigns. We clearly saw a lot of code reuse over the many years of cyber campaigns we examined. This indicates the North Koreans have groups with different skills and tools that execute their focused parts of cyber operations while also working in parallel when large campaigns require a mix of skills and tools. We found our months of research, data gathering, and analysis very satisfying. By combining our skills, data, and technology, we were able to draw connections and reveal links that we had not seen before. The cybersecurity industry would greatly benefit from more collaboration and sharing of information, and we hope that this effort between McAfee and Intezer will inspire the community to work together more often. The authors thank Costin Raiu for providing them with samples they did not have in their collections. Glenn Simpson, Gordon Fairclough, and Jay Solomon, “U.S. Probes Banks’ North Korea Ties.” Wall Street Journal, last updated September 8, 2005. The post Examining Code Reuse Reveals Undiscovered Links Among North Korea’s Malware Families appeared first on McAfee Blogs. The McAfee Advanced Threat Research team recently published an article about threats to automobiles on the French site JournalAuto.com. Connected cars are growing rapidly in number and represent the next big step in personal transportation. Auto sales are expected to triple between 2017 and 2022, to US$155.9 billion from $52.5 billion, according to PwC France. Realizing this increase is a huge challenge for car companies as well as for IT security firms. Through multiple added functions, from Wi-Fi and external connections to driving assistance and autonomous operations, connected cars will very soon need strong security to avoid any intrusions that could endanger drivers, passengers, and others. Modern cars are exposed to security risks just as are other connected devices. Let’s look at current and future threats in the automotive security field. Connected cars record a lot of information about their drivers. This information can come from an external device connected to the car, such as a phone, and can include contact details, SMS and calls history, and even musical tastes. A car can also record shifting patterns and other driver’s habits that could be used to create a picture of a driver’s competence. This kind of oversight could aid insurance companies when offering coverage, for example. With personal data now considered the new gold, all of this information represents a valuable target for cybercriminals as well as companies and governments. Digital information can be modified and faked. By altering data such as pollution tests or performance, companies can take advantage of the results to increase sales. Similarly, drivers could modify car statistics such as distance traveled to fool insurance companies or future buyers. Key fob hacking is a technique to allow an intruder to enter a car without breaking in. This technique is widely known by attackers and can be done easily with cheap hardware. The attack consists of intercepting the signal from a wireless key to either block the signal to lock the car or replay the signal to gain access. One variant of the attack uses a jammer to block the signal. The jammer interferes with the electromagnetic waves used to communicate with the vehicle, blocking the signal and preventing the car from locking, leaving access free to the attacker. Some jammers have a range of more than 500 meters. Another attack intercepts the signal sent by the key and replays it to open the door. Auto manufacturers protect against this kind of attack by implementing security algorithms that avoid simple replays with same signal. Each signal sent from the key to the car is unique, thus avoiding a replay. However, one proof of concept for this attack blocks the signal to the car and stores it. The driver’s first click on the key does not work but is recorded by the attacker. The driver’s second click is also recorded, locking the car but giving two signals to the attackers. The first signal recorded, which the car has not received, is used to unlock the door. The second signal is stored for the attacker to use later. Autos use several components to interact with their parts. Since the end of the 20th century, cars have used the dedicated controller area network (CAN) standard to allow microcontrollers and devices to talk to each other. The CAN bus communicates with a vehicle’s electronic control unit (ECU), which operates many subsystems such as antilock brakes, airbags, transmission, audio system, doors, and many other parts—including the engine. Modern cars also have an On-Board Diagnostic Version 2 (OBD-II) port. Mechanics use this port to diagnose problems. CAN traffic can be intercepted from the OBD port. An external OBD device could be plugged into a car as a backdoor for external commands, controlling services such as the Wi-Fi connection, performance statistics, and unlocking doors. The OBD port offers a path for malicious activities if not secured. Adding more services to connected cars can also add more security risks. With the arrival of fully connected autos such as Teslas, which allow Internet access from a browser, it is feasible to deliver a new type of spam based on travel and geolocation. Imagine a pop-up discount as you approach a fast-food restaurant. Not only is this type of action likely to be unwanted, it could also provide a distraction to drivers. We already know spam and advertising are infection vectors for malware. All the ECUs in an auto contain firmware that can be hacked. Cars employ in-vehicle infotainment (IVI) systems to control audio or video among other functions. These systems are increasing in complexity. MirrorLink, Bluetooth, and internal Wi-Fi are other technologies that improve the driving experience. By connecting our smartphones to our cars, we add functions such as phone calls, SMS, and music and audiobooks, for example. Malware can target these devices. Phones, browsers, or the telecommunication networks embedded in our cars are infection vectors that can allow the installation of malware. In 2016, McAfee security researchers demonstrated a ransomware proof of concept that blocked the use of the car until the ransom was paid. A proof-of-concept IVI ransomware attack on a vehicle. The ransomware was installed via an over-the-air system that allowed the connection of external equipment. Many modern cars allow third parties to create applications to further connected services. For example, it is possible to unlock or lock the door from your smartphone using an app. Although these apps can be very convenient, they effectively open these services to anyone and can become a new attack vector. It is easier to hack a smartphone app than a car’s ECU because the former is more affordable and offers many more resources. Car apps are also vulnerable because some third parties employ weak security practices and credentials are sometimes stored in clear text. These apps may also store personal information such as GPS data, car model, and other information. This scenario has already been demonstrated by the OnStar app that allowed a hacker to remotely open a car. Vehicle-to-vehicle (V2V) technology allows communications between vehicles on the road, using a wireless network. This technology can aid security on the road by reducing a car’s speed when another vehicle is too close, for example. It can also communicate with road sign devices (vehicle to infrastructure). That transmitted information improves the driving experience as well as the security. Now imagine this vector invaded by destructive malware. If the V2V system becomes a vector, a malicious actor could create malware to infect many connected cars. This sounds like a sci-fi scenario, right? Yet it is not, if we compare this possibility with recent threats such as WannaCry or NotPetya that targeted computers with destructive malware. It is not hard to predict such a nightmare scenario. Connected cars are taking over the roads and will radically change how we move about. By enhancing the customer experience, the automotive and the tech industries will provide exciting new services. Nonetheless, we need to consider the potential risks, with security implemented sooner rather than later. Some of the scenarios in this post are already used in the wild; others could happen sooner than we expect. The post Today’s Connected Cars Vulnerable to Hacking, Malware appeared first on McAfee Blogs.